As the daylight hours grow longer, and the air, soil, and water gradually begin to warm up, all around us things begin to stir. Plants, animals, and humans gradually emerge from their state of FUYUGOMORI (冬篭り, hibernation, holing up or bundling up for the winter), and by the week of the spring equinox, when daytime and nighttime hours are just about equal, Tsukuba (and the rest of the Kanto Plain) is bursting with life and activity — EVEN THE GRAVEYARDS ! 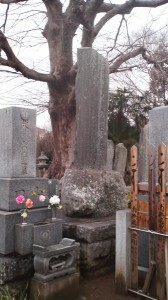 This is because, in Japan, the two equinox days, and the three days before and after them, are a traditional time to visit the family graves (O-Haka Mairi , お墓参り), clean them and the area around them, and make offerings of flowers, incense, and even the favorite foods and/or beverages of the deceased. Thus, during the equinox weeks, or O-Higan (お彼岸) , the cemeteries of Japan are teeming with activity (sweeping, sprinkling, and praying), smells (various types of incense) and color (all sorts of unusual flowers left as offerings). Today, March 18th, is Higan Iri, the first day of the Higan Period and as I went around Tsukuba`s old neighborhoods this week in search of new discoveries I could see women in just about every graveyard I passed- sweeping the grounds and scrubbing the stones- all in preparation for this very important part of the Japanese annual cycle of events. Though the word HIGAN (彼岸) is of Indian origin and refers to THE OTHER SHORE (as opposed to THIS SHORE, the world we live in), or the Buddhist Paradise, this way of observing the equinox days by visiting the family graves is UNIQUELY Japanese. It seems to have developed as an amalgamation of traditional ancestor worship, ancient agricultural rites, and Buddhism. In ancient times, farmers would visit the graves of their ancestors on the equinox days, in spring, just before preparing the fields for planting, and then again in autumn, just before the harvest, and pray that the spirits intervene in helping to bring about abundant crops. After the introduction of Buddhism, and especially the concept of the Saiho-Gokuraku-Jodo (the Western Paradise), the equinoxes became more significant still, as the sun sets almost exactly DUE WEST on those days, giving the universe a perfect alignment with paradise. The first recorded Buddhist ceremonies referred to as O-Higan were held in the early ninth century by the Emperor Heizei, in an effort to pacify the spirit of the Emperor Sudo, who had died after having been accused of involvement in an assassination. However, some scholars suggest that Prince Shotoku (Shotoku Taishi 573-621), an early and enthusiastic promoter of Buddhism, held Buddhist style rites on the day that the Japanese traditionally worshiped their ancestors, in order to link the two. 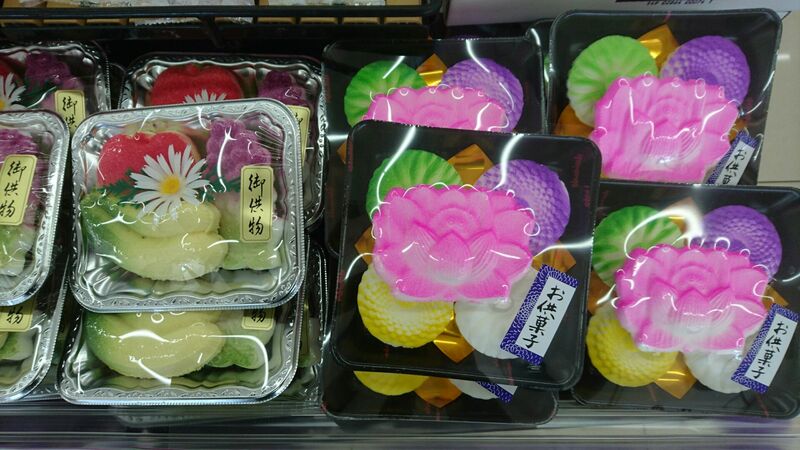 It is also interesting that in the Heian Period, Higan lasted for eleven days after the equinox days. It was only in the 1830s that Higan began to be celebrated for a one-week period, the 3 days before and after the equinoxes. The reason for the additional six days around the actual equinox days is that they are meant to represent the Six Cardinal Virtues of Buddhism (rokuharamitsu, 六波羅蜜). 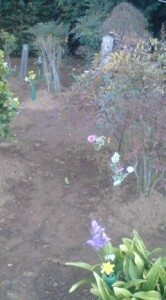 An old cemetery with fresh flowers for O-Higan near my house in Hojo, Tsukuba. The wood slats on the right are TOHBA ( a word which derives from the sanskrit STUPA)- they have five notches on top representing the five elements, and are the common-man`s five-tiered pagoda. They are also believed to act as antennae to attract the souls of the departed. And when making conversation with Japanese friends, acquaintances, or students, dont forget to ask if they have visited their family graves. In Japanese you would say: O-Haka Mairi shimashita Ka? More probably than not, (especially in the case of older people), they will be happy you asked. When you visit a Japanese home this time of year you will probably be served some BOTAMOCHI like this. And as is the case with nearly all of Japan`s traditional events, there is a special sweet to go with the occassion. 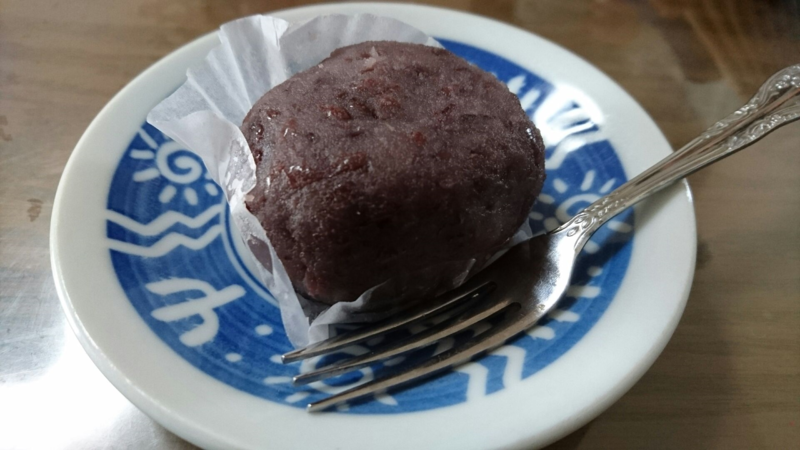 I have written more about the Equinox weeks` special treat in a separate article. Read it here. 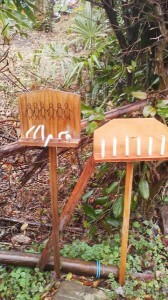 For more on these mysterious stick-figure signposts (which are found only in the Tsukuba area) read my older article. A sandwich of sweet bean-paste and pounded rice between two straw sandals – unique custom still sometimes observed in Tsukuba`s rural graveyards. I`ve written about it here. The flowers for the grave are cheap at your place. 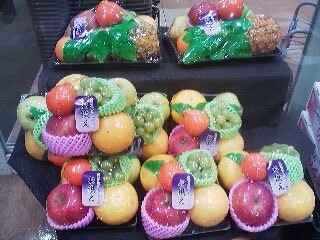 Here it costs about 500 or 525 yen. 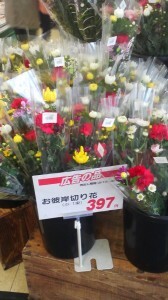 Shops near the cemetery sell them at 1,000 or more yen per bouquet! I’ve seen tohba being thrown away in cemeteries. Why? 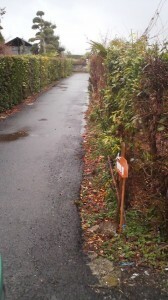 I’ve never seen a roku jizo signboard before. 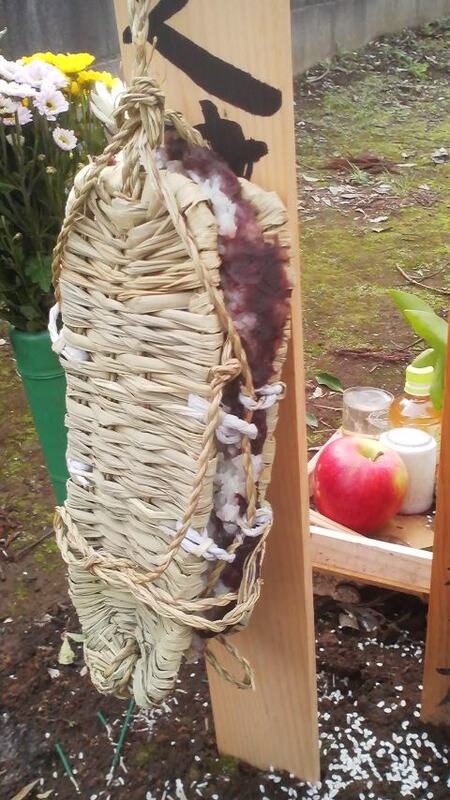 I read your previous post on ohaka mairi. 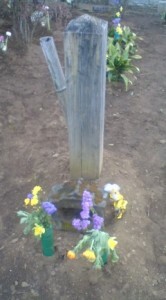 Why do people pour water over the headstone only after lighting and putting the flowers and not before? Wouldn’t it get wet again after all the cleaning and wiping? We always pour the water and wipe it dry before putting the flowers. 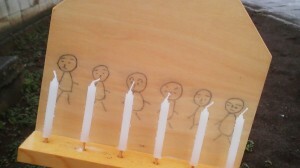 (Since my son and I are Christians, we didn’t burn any incense). Hope you can enlighten me on why the pouring of the water is after the incense is lit? Avi-san! 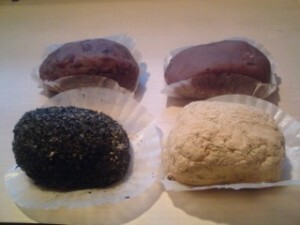 Nice article to explain Japanese custom of OHIGAN, thanks. Near Ohigan time (spring, autumn), we were intending to worship our passed away families. Our family temple is located in Tokyo, so I and my wife would choose suitable day for us, Ohigan-day plus minus 1 month. Intention is important. As a devout Buddhist everyday I pray for sprits of grandparents, parents of both side and brothers and sisters who passed away also peace of the world too before my simple Buddhist altar with lighting incense. By praying It always refreshes my soul for morning start!! I have begun this custom when I became 60years old. A non religious Man became finally religious around that age!? A little more about O-higan – something that should be of interest to anyone trying to learn about Japanese culture. When someone passes away in Japan, neighbors, relatives and others with a relationship to the deceased, attend not only the wake and the funeral. They usually also pay a visit to the home of the deceased on the first Equinox Day (Ohigan) and or first O-Bon* after the death. When doing so, they greet the bereaved, set themselves in front of the family`s Butsudan (Buddhist altar), offer incense, ring a small bell, put their hands together and bow their heads in prayer. 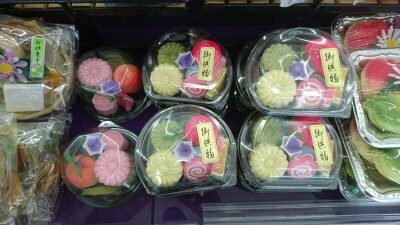 People who do this also bring with them a special envelop – with money (KO-DEN) inside. This funeral money usually ranges from 1,000 to 5,000 yen.The bereaved relatives who recieve this money normally keep a record of who the giver was and the amount recieved. The name of the leger used to keep records of this funeral money is KO-DEN CHO-.This is most often kept inside a compartment in the BUTSUDAN itself. Some families have records spanning over generations. I have heard that some elderly people in Tsukuba subscribe to a local newspaper (i.e. the Ibaraki Shimbun) just so that they can check the death notices every day. If they suspect that someone that has died (or one of their relatives) might have in the past (or in past generations) given funeral money to their family, they check the KO-DEN CHO. If they find that indeed they were given money by that person or that person`s family, they look at the amount, adjust it for inflation (if it was 50 years ago) and attend the funeral, wake or first Equinox Day, taking the appropriate amount of funeral money in an envelop. If they can`t, because of advanced age or poor health, make it themselves, they will often send their children or children`s spouses in their stead.